The SITRANS F C MASS 6000 Ex d is based on the latest developments within digital signal processing technology – engineered for high performance, fast flow step response, fast batching applications, high immunity against process noise, easy to install, commission and maintain. 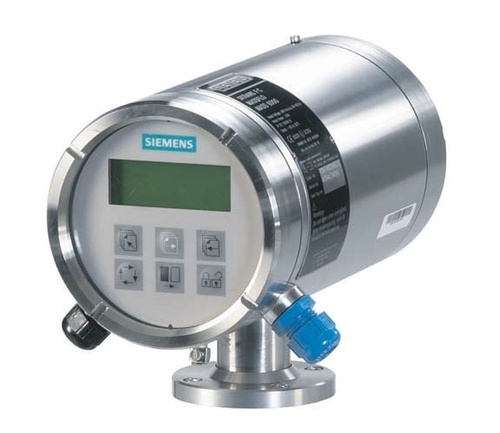 The transmitter is manufactured in stainless steel (AISI 316L) and able to withstand harsh installation conditions in hazardous application within the process and chemical industry. Established in the year 2000, we have attained a reputed stature for supplying a wide assortment of Process Weighing, Level Measuring, Flow Measurement and Process Automation. Our array of products includes Level, Flow, Temperature, Metal Detector and Automation. Apart from these, we undertake entire process automation job including supply of field equipment. All these offered products are widely preferred by the valuable customers for their long service life, rugged structure and efficient performance. We also undertake total design and engineering services for all types of process weighing & automation systems. We are the channel partners of Precision Transducers Ltd. for the all the industrial weighing products. Our firm has recruited a capable team of workforce, which is well-versed with the current market requirements and international market standards. Apart from this, the team of quality inspectors ensures that the products are at par with the international standards of quality. We keep our products at our spacious and sophisticated warehouse, which is controlled by our expert warehousing personnel. Due to our timely delivery and transparent business dealings, we have garnered a huge client base.